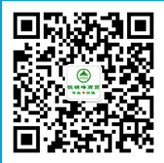 Hello, welcome to Zhengzhouhengjinfeng Enterprise official website! 1. Applied to the engineering machinery and the lifting equipments in the field of machinery manufacturing. 2. Applied to the condensers,heat exchangers,evaporators in the field of air conditioner and refrigerator. 3. Applied to the assembly, maintenance and cleaning of the hydraulic pressure transmission system in the field of aerospace. 4. Applied to the cleaning, assembly, maintenance and troubleshooting of the hydraulic pressure stents and the hydralic pressure transmission system in the field of coal. 5. Applied to the cleaning, assembly, maintenance and troubleshooting of the power transmission system of the fuel pipes in the field of the shipping. 6. Applied to the cleaning of the unassembled pipes, the raw materials and the products transmission pipes, the semi-liquid residue in the tortuous pipes and the tortuous valves in the field of food. 7. Applied to the hydraulic transmission system of the battleship, the aircraft, the rocket, tank, artillury, fuel pressure transmission system of the engineering transport vehicle and the maintenance and troubleshooting of the gun barrel and the hydraulic pressure systerm in the field of national defense and military. 8. Applied to the floor heating pipes and hydraulic pipes in the industry field.